As a rebel backbencher, the new Labour leader never had to craft a message, rally the troops or juggle his diary, says Andy Burnham's former leadership campaign manager. ‘Great leaders say we not me,’ the saying goes. And Jeremy Corbyn certainly bought into that management approach as he endured the four-month marathon that was Labour’s leadership contest. For rank and file members, and even seasoned political commentators, his inclusive style has been refreshing. It is often those who wear responsibility lightly who wear it best, and Corbyn has certainly demonstrated that not having spent his life craving the top job was a reason why some felt he deserved it. But like so many politicians before him elected on a promise of change, he is already finding that winning the leadership is the easy bit. The management requirements that go with the turf cannot be ignored. As party leader the buck stops with you. When the only experience of management you’ve had is chairing Haringey Council’s Planning Committee, you may find that the great responsibility of leadership can be over-bearing. But strong and effective management can often get you out of a tight spot. In less than a day, Labour’s new leader has appointed a Shadow Cabinet. Can you imagine an incoming chief executive having 24 hours to appoint a board, with a shortlist of candidates who until the day before were actively backing someone else for the top job? Quite. Corbyn’s colleagues may share his broad values, and they agree on core principles, but in the absence of any working relationship, frustrations will quickly kick in. On policy, the party will face tough decisions on the EU referendum, renewing Trident and military action in Syria. Getting the 28 people in his own Shadow team to agree will be hard enough — let alone the more than 200 backbench MPs who will see little compunction with rebelling against a serial rebel. While the Leaders Office is getting its head around process, many of the dissenters have had years or even, like him, decades, to work out how to avoid the party whips. A shadow minister’s contentious speech to a key conference may only appear in the leader’s policy team’s inbox an hour it is due be delivered. The opportunities for slip ups and mismanagement are constant and varied. Sitting on the other side of the fence for the first time in a Parliamentary career spanning more than three decades, Corbyn will quickly learn how hard it is to manage the political opponents within his own party — some of whom he barely knows. Though with more than 500 votes against his own party, they will do well to beat his record of rebellion. The Shadow Cabinet is all set, but the advisers who support them and a rejigged party management team will take a little longer to nail down. In business, it’s widely accepted that diversity of experience and opinion is a good thing. However, my experience of the last four months is that politicians tend to hire people in their own image. There are obvious reasons for this, loyalty being the primary one. As is inevitable when everyone is cast from the same mold, skills gaps occur and the big picture rapidly folds into tunnel vision. This intense loyalty to strong-minded politicians also results in many advisers failing to challenge them. Corbyn’s longest standing advisers have the same lack of senior leadership experience as he does. He will need to decide quickly how to acknowledge their loyalty without hindering his leadership. The Labour Party is a broad church and he will need to draw upon its wide talents to lead it effectively. He should recruit staff who will not always agree with him and, crucially, reward ability and results over loyalty. When a politician enters serious politics they are instantly focused on the wider challenges. As opposition leader their ultimate focus is on winning the General Election. But winning an election and managing a political party require two very different skills. Corbyn will be facing challenges on multiple fronts: managing both his and his party’s image; leading and appeasing parliamentary troops; setting priorities for party staff; developing policy; and all the while holding the government to account. He has to manage the relationship with stakeholders such as trade unions and businesses, and present policies that will resonate and demonstrate visionary leadership to voters. In politics you have to master message discipline and control, use loyal spokespeople, and be able to speak out to different people through different channels. Corbyn was elected in part because he has never kowtowed to party whips. He voted against the government whenever he pleased and as a result has been feted by new members for never compromising. However, now that he has won, the same principles will be his Achilles heel. How can he get loyalty from a party he has never been loyal to? How can he command his MPs to vote against their conscience for the sake of party unity when he has never done so himself? Despite his reputation for punchy speeches and the odd media flare-up, when bumping into him relatively regularly during the campaign, Corbyn came across as incredibly deferential. He has an easygoing, even pleasant manner. He will need to deploy these personal traits to great effect if he is to keep his party onside. He will need to be heavily reliant on his deputy Tom Watson. Gordon Brown’s former bruiser knows a thing or two about keeping wayward MPs in line. But Watson is no loyalist himself and no stranger to rebellion. He is much happier getting credit on his own for championing a cause than he is toeing the party line. When the tinsel of Corbynmania starts to lose its sheen, Watson is as likely to be the architect of that fall as anyone. 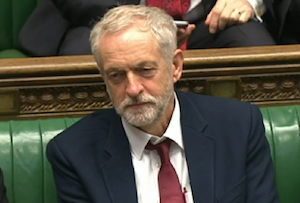 As an independent backbench MP, Corbyn became used to picking and choosing what he did. Of course, he has been accountable to his Islington North constituents and been re-elected at each time of asking, but he has been a free spirit who has had little responsibility, no management and plenty of time. Even watching him from relatively close quarters over the last four months, he was always the one late to hustings, the one taking an urgent call on his way to a meeting, as suddenly he became familiar with the concept that his day was no longer his to decide. Corbyn told an audience in Scotland that winning back power in Scotland would be one of his top 10 priorities. No leader of an organisation has 10 priorities. If they do, that’s 10 priorities they won’t be able to do very well. With limited time, meetings appearing in the diary, and multiple priorities, Corbyn will realise that he needs to ditch or delegate a fair number of these priorities. Leadership in a political party is about compromise. For a man who has refused to compromise for three decades, and with little management experience, Corbyn is going to have to learn new skills very quickly. Whether he sinks or swims will rest on his political leadership as well as his management skills – something that until now he has had little need to demonstrate or deploy. John Lehal is managing director of ICG (Insight Consulting Group) He has recently returned to work, having undertaken a three-month sabbatical as campaign director of the Andy Burnham for Leader campaign. Tweet him @JohnLehal.